Ms Soule has worked in health care for over 40 years, serving as Director of Infection Control and Epidemiology for 25 years at Providence St. Peter Hospital in Olympia, Washington, and Director of Safety, and Director of Quality Management Services. In these roles she managed programs in quality and performance improvement, hospital epidemiology and infection control, risk management, clinical research, education, and care management services. Ms. Soule has broad experience practicing and teaching about infection prevention and control and healthcare epidemiology and has published extensively in this area. 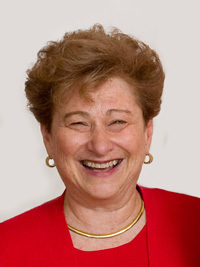 She is an associate editor of the American Journal of Infection Control and coeditor of the Global Perspectives Section, a Past President of The Association for Professional in Infection Control and Epidemiology (APIC) (2003), a recent member of the APIC Scientific Research Committee, and in 2006 was appointed to the CDC’s Healthcare Infections Practices Advisory Committee (HICPAC). Ms. Soule has been awarded APIC’s most prestigious award, the Carol DeMille Award (1989) and the President’s Distinguished Service Award (2009) from APIC and the Advanced Practitioner Award from the Society for Healthcare Epidemiologists (SHEA) in 2009. Ms. Soule currently serves as Practice Leader for Infection Prevention and Control Services for the Joint Commission Resources (JCR) and Joint Commission International (JCI) in Oak Brook, Illinois, USA. In this capacity she provides oversight and coordination for all infection control services, education and products for infection prevention and control across multiple health care settings in the U.S. and international settings.